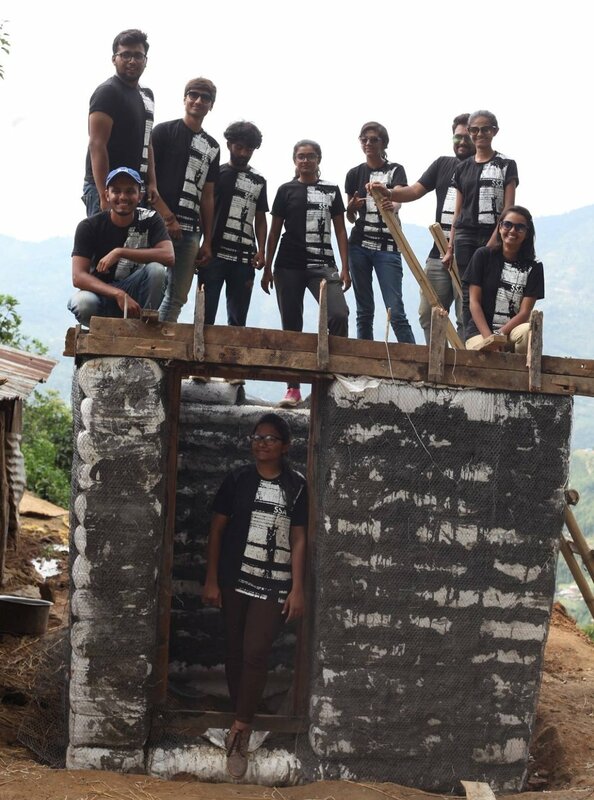 Our team just got back from Bolgaun village in Sindhupalchok where we have completed Earthbag houses #5 and #6 together with locals and Australian volunteers. This community housing project is sponsored by Nimbin Health and Welfare Association Australia-Based non profit. We are excited to announce that we have successfully completed the Earthbag house for a widow Kamala and her 2 daughters. This unique project was built during monsoon season. It was a challenge, but as they say: "if there is a will, there is a way". We also have installed smokeless oven for Kamala.